St Bede the Venerable (673-735): is our heavenly patron and Thursday is his feast in the New Rite and Saturday in the Old Rite. We pray that he may obtain for us the grace to observe our faith as he did with joy and enthusiasm. The chronicles of the time testify him being “one of the most observant and happy of Monks”. May he, in the communion of Saints, by the power of the Holy Spirit teach us this simple lesson: that happiness is the fruit of observance of taking daily care to love both God and neighbour. Special Sunday - 11am Mass today: The music for this Mass will be: Ordinary - Missa Aeterna Christi munera (Palestrina); Offertory - Ave Maria (Victoria); Communion – Ego sum panis vivus (Esquivel); After Last Gospel - Regina caeli (Lobo). Music provided by Cantores Missæ under the direction of Charles Finch. Fr Christopher: is in Virginia for the wedding of his eldest niece. FHC DVD orders: Don’t forget to place your order soon – the order forms and money can be left with one of the priests or the Parish Secretary. Annual Procession in honour of Our Lady of Lourdes: Next Sunday (28th May) at 5pm – Orione House, 12 Station Road, Hampton Wick, KT1 4HG. 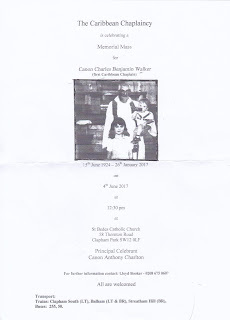 There will be Mass at Orione House after the procession, followed by refreshments in the grounds. Enquiries to: 07921 125 283. 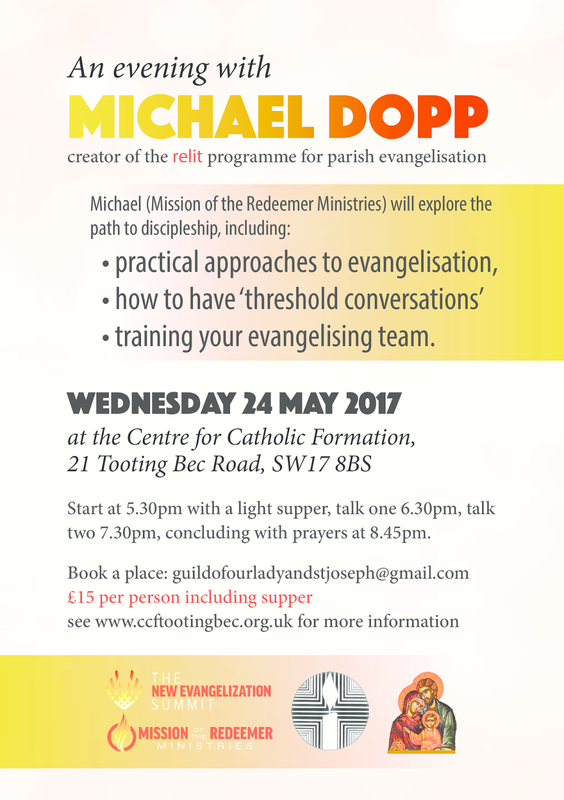 Vacancy - The Centre for Catholic Formation (CCF) based in Tooting Bec, is looking for a new formation adviser (Kent Area). The ideal candidate will be a practising Catholic with previous experience in catechesis and/or adult formation. This is a full time role which will include some evenings & weekends. Salary: £30 to £35K depending on skills and experience. 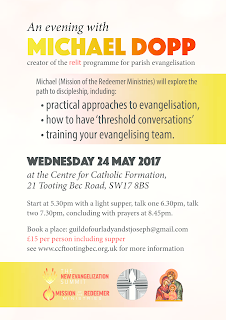 For more info see www.ccftootingbec.org.uk/jobs. To apply please contact: sarah.wood@finance-rcdsouthwark.org by the closing date of Friday 2 June. Interviews will be held on 13 June. Candidates are welcome to visit the Centre ahead of application.